These traditional spyglasses would not look out of place in the hands of Nelson himself! The zoom is operated by twisting a control ring made of copper. 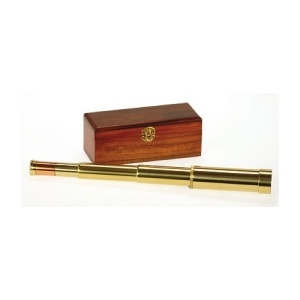 The Brass model is supplied with a soft zip-up case, whilst the Full Brass model is supplied with a very attractive solid Mahogany felt lined presentation/storage box.